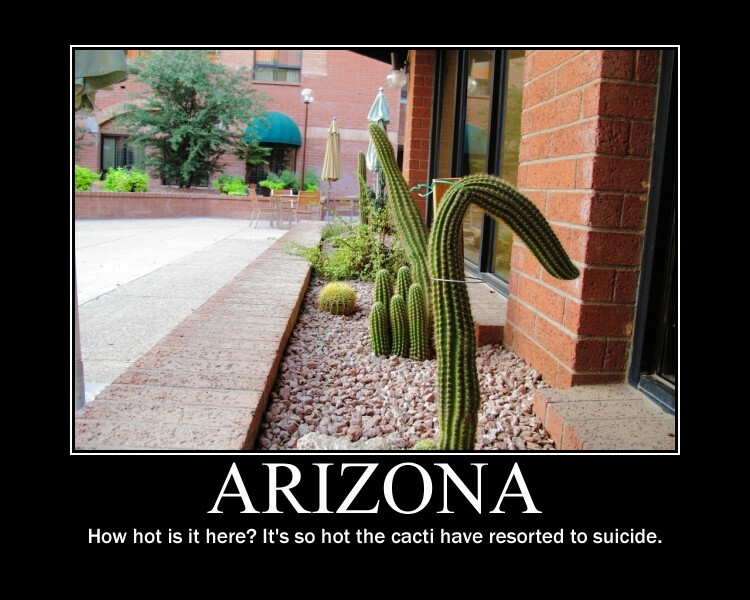 This is my tenth summer in Phoenix, Arizona. 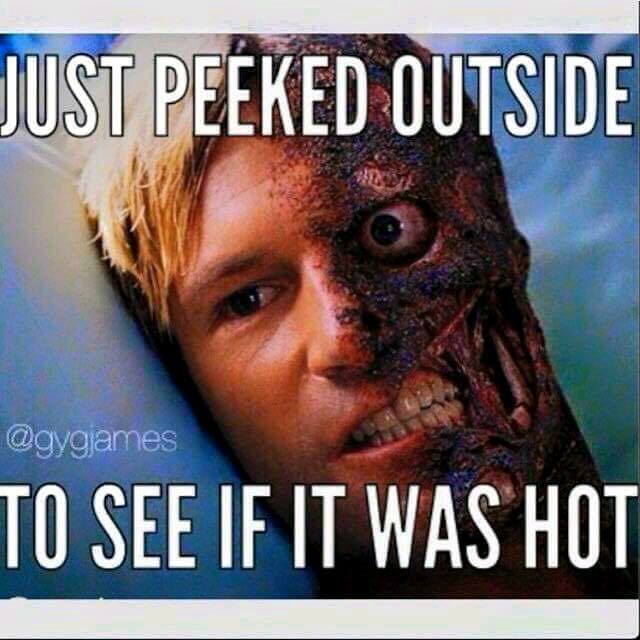 I traded the moderate (mostly) summer temps of Southeastern Pennsylvania for the front porch of Hell itself. 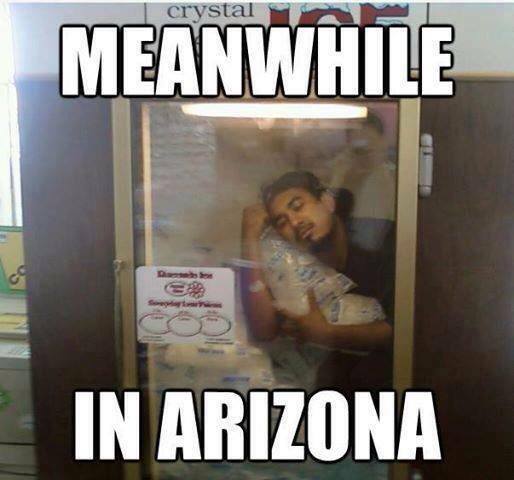 But yes, it is a dry heat. Today’s humidity is 13%. On Thursday, it’s expected to be cloudy with humidity of 26%. That’s getting up there and it’s noticeable. And then you really start to sweat. 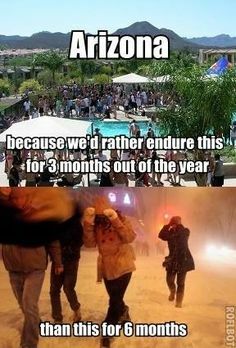 Summer is our winter. We avoid going out in the afternoon if at all possible. Even though the kids are out of school, you won’t see many in the parks before sundown. I can’t imagine not being able to send my kids out to play. 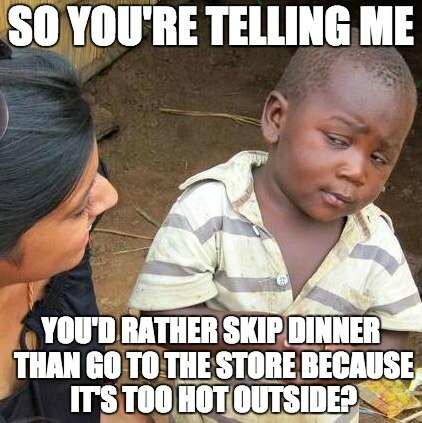 People with pools wait until the evening to use them. Sometimes the water is even too hot to get in. 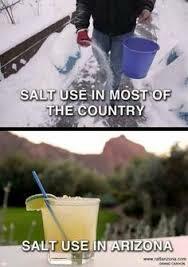 But, at least we don’t have to shovel sunshine. 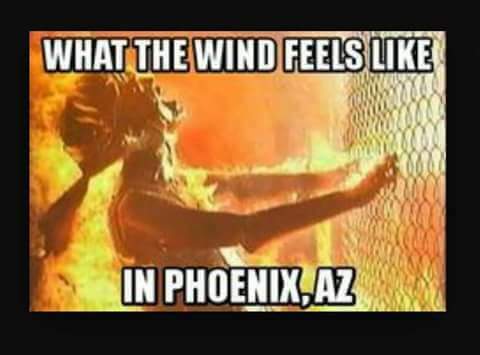 A friend born and raised in AZ posted something this on Facebook recently: “Turn your hair dryer on high and point it at your face. That’s what it’s like outside.” It was a breezy day. I’m a white girl of Northern European descent. I don’t have the genes to enjoy the sun. It’s like little needles being shot at my skin. I pity people I see working on roofs and on roads this time of year. And police officers in their body armor. Of course, not everyone is as sensitive to the sun or physical discomfort as I am. Besides extreme sunburn and heat stroke, there are lesser dangers from living in extreme sun and heat. A car can be as dangerous as open flame. Opening a car door can hurt! 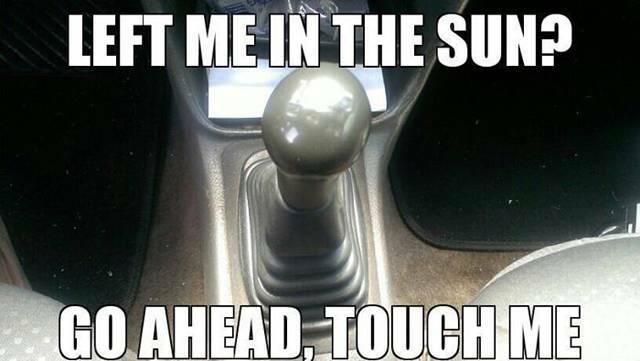 So can touching the steering wheel and gear shift knob. The metal of seat belts are hidden dangers that you learn how to avoid. Some folks drape a towel over the steering wheel and know, especially if you don’t have one of those window shade arrangements. Or we just do this. Seriously. We do. 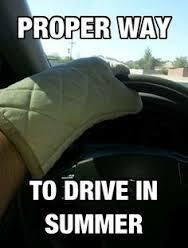 Or use those gloves we wear twice in the winter. 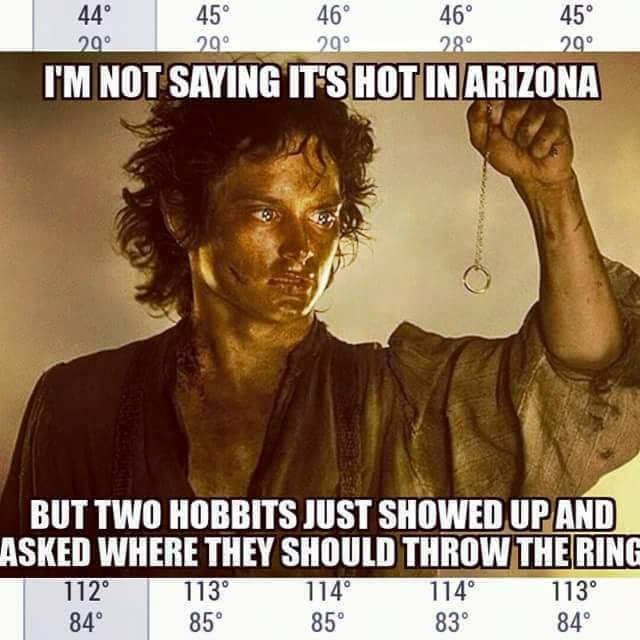 So while the rest of the country is enjoying their beaches and lakes and barbecues in the parks, we here in the Valley of the Sun entertain each other with memes posted on the internet. 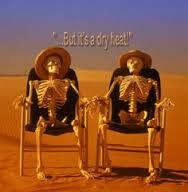 And patiently wait for winter, which is our reward for enduring summer. 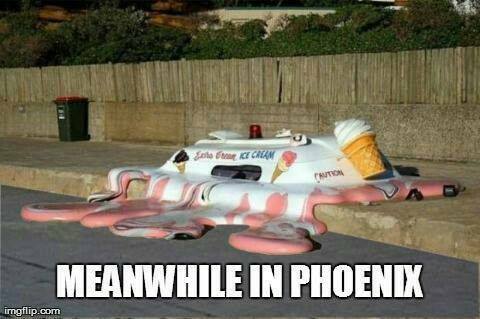 This entry was posted in Uncategorized and tagged Arizona, AZ, dry heat, heat stroke, hot, melting, Phoenix, summer in Arizona, summer. sunshine., sunburn, Two Face by T A Munroe. Bookmark the permalink.